One of my prayers for the 30 Day Giving Challenge is that I will introduce some giving opportunities to others. I want to share causes that burden my heart and soul and see if they touch yours as well. One of these causes is THE MERCY HOUSE. I was introduced to THE MERCY HOUSE through it’s founder, Kristen of We Are That Family. 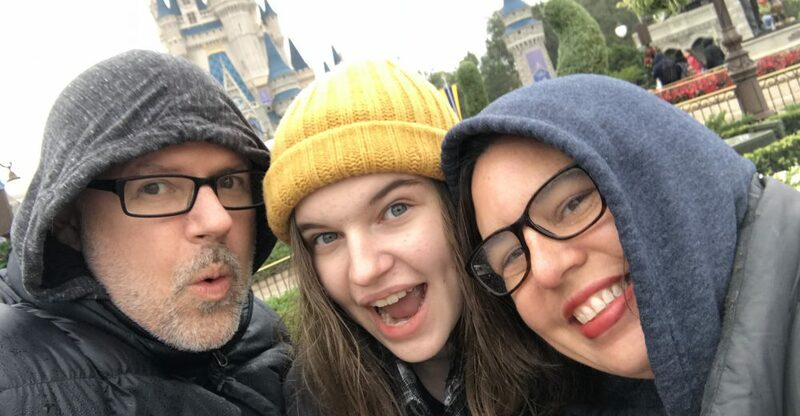 I dropped in on Kristen’s blog months ago to link up to Works For Me Wednesday. I keep going back every day because God has used her to stir my heart (and that of many others) almost daily. She and her family are givers. They look for needs, and they fill them. She has organized more giving drives in one year than I have in my entire life. God used all the previous giving challenge to prepare her and her readers for the ultimate challenge. She is working to open a Maternity Home in Kenya. Yes, in Africa. Tell me that’s not a big challenge. However, Kristen and her family are not alone in this challenge. It has stirred many. It has greatly stirred me. I’ve always had a tender spot for young, unwed mothers. Perhaps it’s from walking with a friend in high school who we thought was pregnant for a time. The decision that friend was trying to make was overwhelming. Perhaps its from loving on young mothers at church who even in much better circumstances than Kenya are suffocating under the intense responsibility that is motherhood. Perhaps it’s having birthed a child surrounded by love and support and kindness and not being able to imagine doing it any other way. Whatever the reason, God has stirred my heart for the young mothers in Africa. They have my prayers daily. Not only do they have my prayers, but they have my money monthly. I’ve signed up for THE POWER OF THREE. On the 3rd of each month, I give $3 to THE MERCY HOUSE. It might seem small, but it’s consistent. It will become part of my monthly budget. These girls are that important. They deserve to be part of the House of Hills budget. Today is the 3rd of November. It’s time to give again. I am thankful to do so. What are you doing this 3rd of November? Do you plan to get a coffee? Do you plan to go out to lunch? Do you plan to download a few tunes? Do you want to do something even more important with those $3? You could make a difference in the life a woman and a child in a far away land who need you, although they don’t even know you. You have the power to change a life. With just $3. Another way to give to THE MERCY HOUSE is by purchasing items from their shop on Etsy. They’ve got some beautiful things, and I was lucky enough to win one of their necklaces a few weeks ago from Ohamanda. Ironically, I won it by commenting on her blog that I had just purchased some necklaces to give as gifts. I also purchased one for ONE OF YOU! That’s right, it’s a giveaway!!! Not only can you win this beautiful necklace, but THE MERCY HOUSE will win as well. For each comment on this post (one per person please), the House of Hills will donate an additional $3 to THE MERCY HOUSE this month. You can enter the giveaway and make a difference at the same time. How awesome is that?! Feel free to tell your friends. So comment below to win the necklace and help change lives of young girls on the other side of the world. This giveaway and the comment matching donation will run through Friday, November 5th at 11:59PM. I can’t wait to see what God’s going to do through THE MERCY HOUSE and am excited to be a part of it. Don’t you want to be a part of it too? Disclosure: I purchased this necklace for you, my readers. All opinions are my own. This entry was posted in 30 Day Give, Giveaway by KHill. Bookmark the permalink. Yay! I’m so hooked on what Kristen is doing too! Chip and I talked last night and are now monthly sponsors for The Mercy House. I’m so excited for what they’re going to do in Kenya. Love the $3 give-away, girl! Keep it up! Kathy, I am impressed with your 30 days of giving. So often at this time of year, the focus is on receiving and we miss the beauty of the harvest!!! The Mercy House is new to me and I will add it to those many worthy organizations that give!!! The House of Mercy is such a good cause! Thanks for making a difference! 30 days of giving is such a wonderful way to experiance a month! I am so interested in hearing what is in store for the rest of the month! What an amazing giveaway and the 3×3 is such an great idea too! Love what Mercy House is doing. I’m so happy that I got to work with your husband once upon a time, almost 20 years ago, just so I could read about this and be inspired today. I love your family!! i LOVE your heart! thanks for leading & giving us great ideas. I talked to the girl today about coming to your birthday party & giving to OCC. can’t wait!!! I was blessed to be the recipient of one of these necklaces through Kathy’s generosity yesterday. 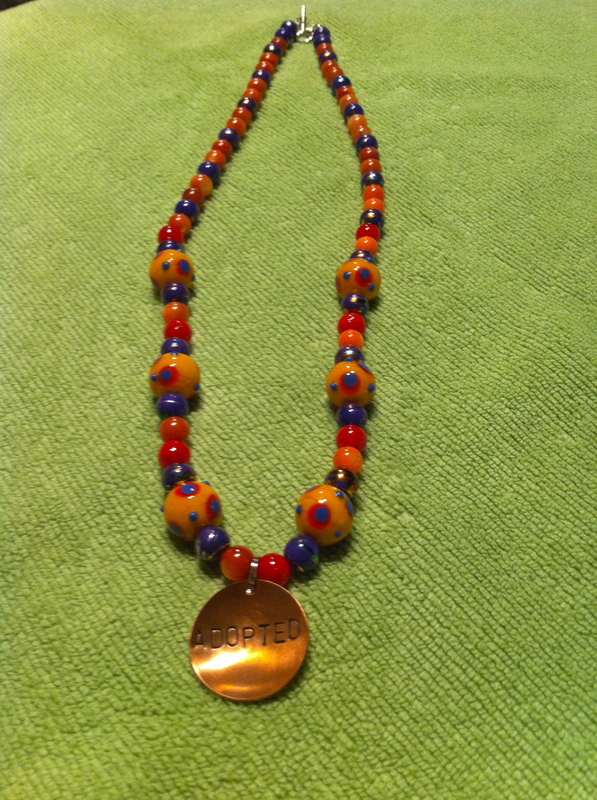 The necklace is beautiful and so is the message: I am am “adopted” — a child of our Heavenly Father! This is a vital message and a worthy cause. Great giveaway and great cause! You are doing such a wonderful thing. And so is Kristen! Beautiful necklace. I think what Kristen is doing with Mercy House is amazing! It’s awesome to see that our blogging can have power. OH, Kathy! You are awesome!! What a beautiful cause to support and I love what you’re doing! Leading by giving is SO powerful! I love it! Another giveaway??? WOW – you are soooo giving! LOL. I actually read this post the other day. The young unwed mother love made me cry. I love your heart. You are such an inspiration. I love reading your blog each day. Thanks Kathy! You have so many comments = hooray! I’m probably too late to comment Eastern but it’s only 10 in TX 🙂 Love this!